Dear friends, I've finally moved my blog to my website! 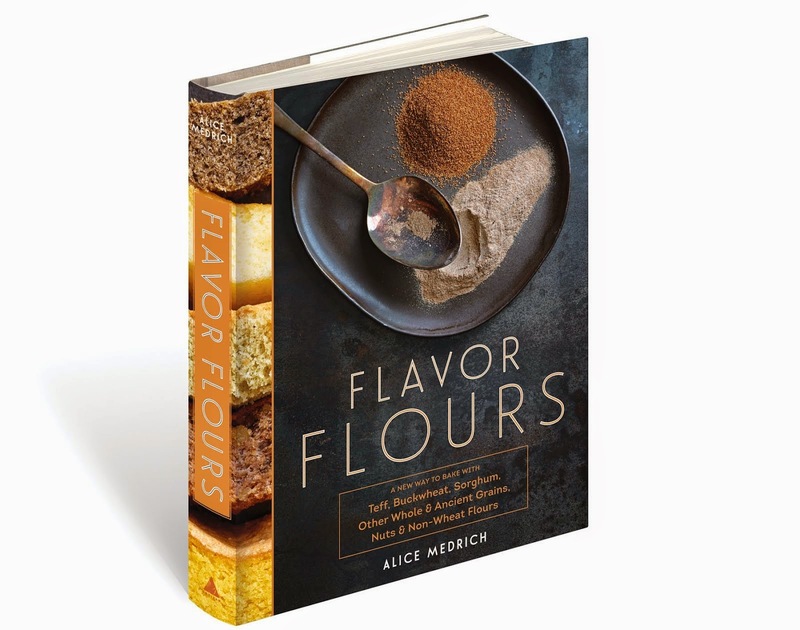 Cruise around alicemedrich.com while you are at it, and notice that my next book, Flavor Flours will be out this coming fall. You can preorder the book at Booksamillion. 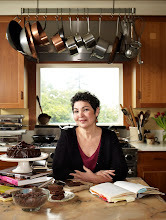 You can follow me on twitter @alicemedrich and on facebook as well! My career started with a hand-written recipe for the tiny cocoa-dusted chocolate truffles given to me by my Paris landlady in l973. I went on to make and sell those pure bittersweet truffles at the Pig by the Tail Charcuterie (a distant fond memory now) across the street from Chez Panisse in Berkeley CA in l973. This led to the accidental invention of the larger so called “American” chocolate truffle and the opening of my own chocolate dessert shop, Cocolat, in l976. 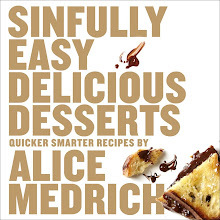 Since the Cocolat days, I’ve written 8 cookbooks –the most recent, Chewy Gooey Crispy Crunchy Melt-In-Your-Mouth Cookies was published in 2010 and Sinfully Easy Delicious Desserts will come out in May 2012—and won three cookbook of the year awards. I’ve taught cooking classes across the country, consulted with venerable chocolate companies as well as the newest cutting–edge chocolate entrepreneurs, appeared on TV with our beloved Julia Child and more. Today I continue to write, consult, teach, and experiment. I’m still learning and still having fun.